Today was an interesting day. My grandson Tyson and I went out to help my daughter with a Christmas party for her students. I use to be home room mom for both of my daughters and I loved it. It really gave me an appreciation for what teachers really do. Jessica is a 4th grade teacher. She has I believe 21 students in her class. As I was watching her teach her students and interact with them, it took me back to when I was helping her teachers. I knew they worked long hours, but I never realized how much they do. I was exhausted after just an afternoon. 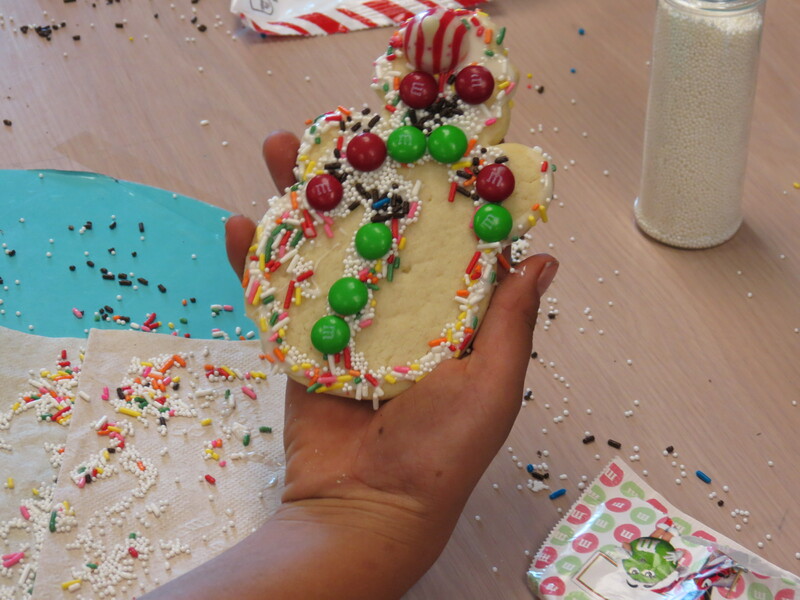 My grandson and myself helped decorate cookies, organize crafts and just take part in the festivities. But, let me tell you, there is a whole lot of stuff that goes into the hours the children are in school. She is at school at 8am and has to leave her house around 7:00 am to make it there. She is in the classroom till 3:30 pm at the earliest. After that her day is still not done. She still has to work on the following days lessons, grade papers and do all the other things that needs to be done. Maybe around 10 or 11 pm, she might be able to go to bed. She takes into consideration each and every student. She made sure that she is challenging them while building them up to become stronger and educated students. The smiles on the face of the children demonstrates how much they love learning. Even those who are acting out are getting so much out of being in her class. I was doing the cookie station of the Christmas party. I didn’t tell Jessica too much about what the children said. The ones that I could tell that were distracted were telling me how nice Mrs. Ross are. They were saying with a smile on their faces that she cared about them and she is the best teacher ever. Even the few that were unruly were talking about Jessica with a smile on their face. They were genuine and they seemed to have the same look when you talk to your child and you tell them how proud you are of them, then you get that smile and gleam in your eyes. This is how they were today. My grandson Tyson and myself also went to my grandson JJ’s classroom. They have a new bearded dragon and I brought mine into the classroom to show them what theirs will look like when it is older. It was interesting and fun to see the look on their little faces when they seen Fred. I could tell that Tyson enjoyed being in the classroom and around the other kids. 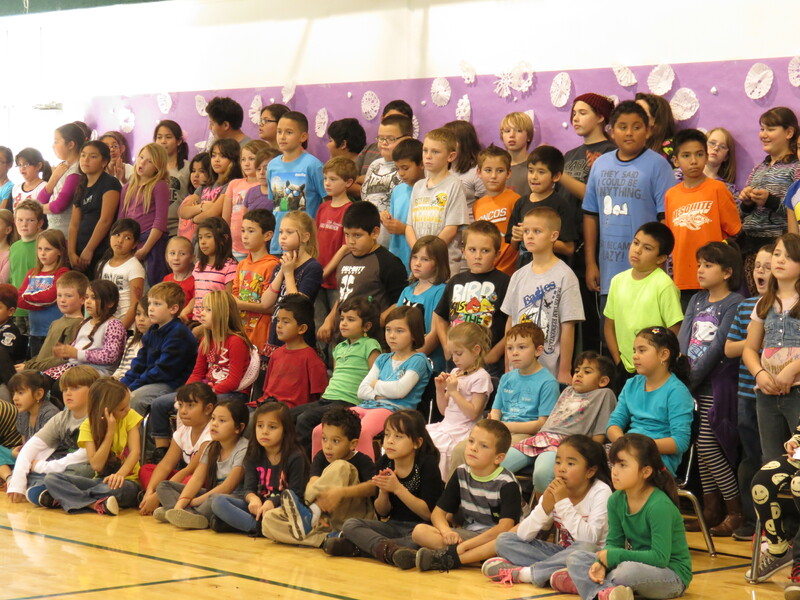 My grandson JJ is in the second row sitting next to a little blond girl and he has a blue shirt and red hair. He sticks out since he is I think the only redhead in his class. We also went to the practice session for the kids Christmas Program and they did an awesome job. Considering how small the school is, they did a great job. I never even knew there was a school in this tiny little community in AZ. But there are and the teachers and staff are doing an awesome job. You can tell by the looks on the kids face. All in all it was a good day. I’m exhausted and I am very proud of Jessica for reaching for the stars and following the dreams and goals she set out for herself in 2nd grade. I am very good at the things I do and I can honestly say that I do NOT have the gift of teaching children. I have no patience and Jessica has an abundance of that. 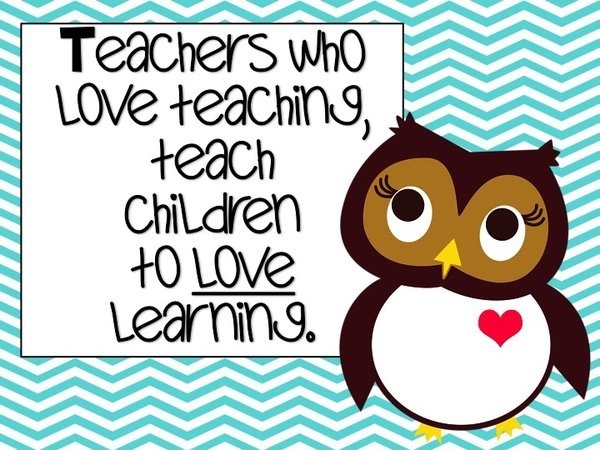 Teaching is one of those jobs and careers that is more than just a job. You have to love children. I am sure that no teacher is getting paid what they should be getting paid. Most parents and myself included grumble about how much they have to spend to buy supplies for their children. Let me tell you straight up. I had NO CLUE how much teachers spend of their own money. Just like the party today. She doesn’t get reimbursed at all. She spent at least 100.00 on supplies, not including gifts that she got for each of the children. And this is just for one day. She bought supplies for all of the students in her classroom. She knew that many of the children came from homes where they couldn’t afford to buy food let alone school supplies. But she has a heart and love for children and all the teachers I met today have a love for the children they teach. 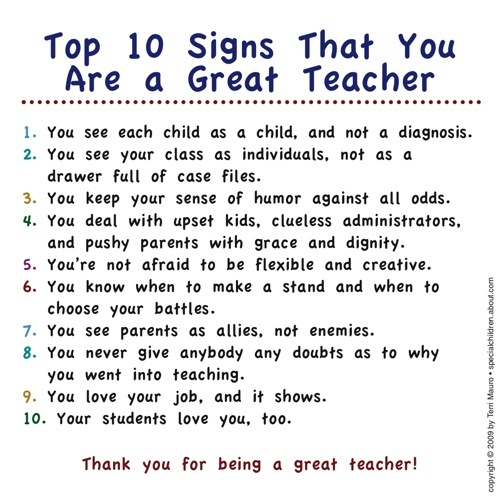 I would like to just say that if you have a child in school, you might want to thank his/her teacher. I didn’t realize how much they really do and I’m sure there are many parents out there who are the same as I am. So, thanks to all the teachers I have and the ones I still have in my life. I may not be in school, but life has lessons everyday and we are always being taught.